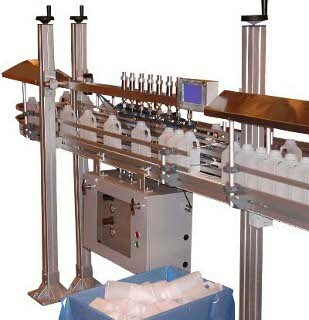 These are bottle leak testers designed to be fed bottles on a continously moving conveyor. Reject bottles are ejected from the conveyor at a reject station immediately after the test area. Models are available with throughputs up to 200 containers per minute. The machines can be supplied complete with conveyor, or alternatively as a kit to fit to an existing conveyor system. A range of options are available to extend the tests performed, we are always willing to discuss specific test requirements. 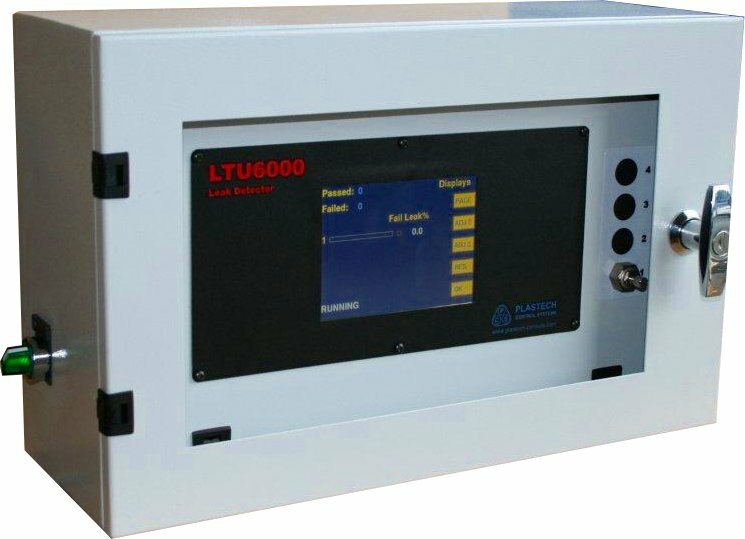 LT7-C Low cost unit, single-head only. LT1 (Legacy Product, not for new design). These are designed to be mounted on an indexing bottle trimmer, or for other in-machine use where the leak tester does not control bottle transport. These are for use in static test fixtures, where an operator loads the part into a test fixture and presses a button to perform a test. Typically used for moulded parts where conveyor feed is not practical, such as fuel tanks or large drums. These are used at the end of a blow molding line to pack bottles. website created 1996 --- Copyright (C) 1996-2018 Plastech Control Systems Ltd.